“I don’t rule out any of the meetings from here on out,” Boston Fed President Eric Rosengren said about the propitious moment when the Fed would raise interest rates. He is one of the three ultra-doves on the Federal Open Markets Committee that sets the rate policy. It’s the doves that matter. And another one just caved. Only if labor markets unexpectedly weaken, if core inflation starts to drop off, or if the wage gains dissipated, “those would be the things that would make me want to pause and wait and see whether there is further evidence,” he said. If “international shocks turn out not to be negative at all that would be very good news,” he said. Which has been the case so far: the chaos over Greece, the stock market crash in China, the government’s panicky efforts to reverse it…. nothing so far has seriously rattled the stock market in the US, and that’s what everyone at the Fed keeps their eyes on. OK, Rosengren doesn’t get to vote on policy this year, but the fact that he, one of the three most dovish members, just caved shows where the Fed is headed. Greece was a “huge wild card,” he said. At the time, Greece was threatening to blow up what little remained of its banks and its economy if it didn’t get everything it wanted. But that standoff has been resolved. It did blow up what remained of its banks and its economy. And early today, the Troika agreed in principle to lend it even more money under even stricter conditions. Nothing is finalized. Everything has to be approved by parliaments. And Greece has to implement a number of deeply hated and long delayed measures within days…. But stocks are soaring, and that’s all that matters. So Dudley’s fear about that “huge wild card” has been mollified. This is the new normal for the no-escape velocity of the US economy. It’s within the range that dove Dudley is willing to accept. It’s been that way for years, despite the Fed’s waves of QE and its zero interest rate policy. But now it’s good enough. This leaves the third ultra-dove, Minneapolis Fed President Narayana Kocherlakota, somewhat lonesome in his corner. Despite clamoring on Wall Street that the Fed would never stop QE, the Fed tapered QE out of existence last year. 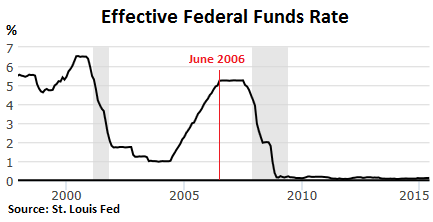 Now they claim that the Fed can never raise rates, given the lethargic economy and the mountain of new debt that the low-interest-rate environment has produced. These are efforts to prevent the Fed, which has been enslaved to Wall Street, from raising rates. But these efforts seem to be failing, just as they failed with QE. Interest rate hikes are coming, and at least one of them this year. Yellen is getting more and more of her ducks lined up in a row. One of the real reasons for pushing rates higher is the dread that the next recession might hit while interest rates are at zero. That would be too embarrassing. And a nightmare from a monetary point of view. So raising rates at lowest increments and likely snail’s pace as monetary ammo to use when the economy teeters back into the Great Recession? And if rates are still near 0% then go for the gusto with NIRP and mother of all QEs (even though each round of QE has having smaller impact other than enrich the banksters?). 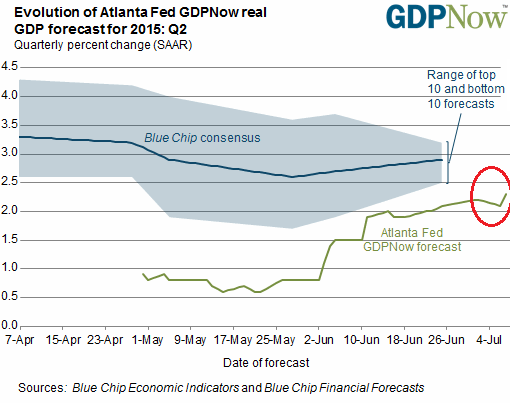 If the 2nd Quarter GDP is also negative like the 1st – something that is starting to look very likely – then they will be raising rates IN a recession. Some things really do require a PhD in economics! Its part of their (endless) continuing narrative of the rates are going to rise. Much like a Greek bailout. Much like Ben Bernanke’s “subprime is contained.” Do not listen to what they say, watch what the do. Meanwhile the BOC is talking about cutting it’s overnight prime rates this Wednesday, which in turn is causing even more sheep to go out and sign on the doted line for more mortgages ! Yay Poloz keep that bubble going… you’re kick back from the CHMC is in the mail ! 0.75% to how low can you go ? The overriding reason the Fed is intent on raising interest rates (even a teeny-weeny bit) is to prove that they have this thing under control and that we will exit ZIRP. I give them two 1/4 point moves this year. The economy is slowing in may sectors with development (housing and apartments) to be the last to fall. China is an overall drag, Europe same, dollar strength hurting multi-nationals. So as the trillions of QE exhaust themselves, the economy stalls. I still think later 2015 is when it will show, but could be wrong and into 2016. This is one of the best pieces I’ve read about this whole “rate hike drama” I’ve read in many months. Pretty much it all boils down to a big problem: China. I won’t lie to you in saying that I think everybody’s reading too much into Greece. As soon as a deal is reached to kick the can down the road a few extra months, that hapless country will disappear from the radar. China just won’t go away, no matter how much people would like to ignore her. She’s too big and, what’s far more important, too many European, US and Japanese groups have come to rely on the Chinese market as their main profit turner. BMW, Caterpillar and Komatsu are just three names that spring to mind. As much as financial markets are isolated from reality these days, those profits will start to “disappoint” very very soon. First quarter saw Chinese exports stable (though Beijing is well known to fiddle with this piece of data as to make it almost useless) while imports dropped over 10%. It may well be the sign we have reached “Peak China”, very much like we reached “Peak Japan” in 1988. The people running the US Federal Reserve may be criminal in their treatment of retirees, savers and those living on a fixed income (and should be held accountable for this), but they are no stupids. They know very well there’s turbulence ahead in the financial market, China-generated turbulence they can do exactly nothing about because Beijing is well beyond their reach and now too powerful to be bullied/cajoled into compliance. To make matters worse Fed officials know perfectly well financial markets have grown accustomed to lack of risk to the point of torpor. Any shock that cannot be immediately plugged by reassurances from the Eccles Building and the Eurotower is bound to throw markets into a veritable panic. Fed officials have observed with interest Europe’s experiments with NIRP’s and duly noted they simply do not work: all that Sweden and Switzerland achieved was avoiding their once solid currencies from appreciating too much against the euro… at the cost of quickly heating inflation, which is obviously going unreported, and fostering more reliance on unsustainable monetary policies as an engine of growth. Hence the Fed, like it or not, needs higher interest rates before China sends those main drivers of economic growth, the financial markets, into a veritable panic to have, you guessed it, interest rates to slash when the time comes. And this is a self-defeating strategy. To take back interest rates to 4% using 25bps hikes on a quarterly basis it would take four years. We haven’t got so much time and always remember the BOJ tried the same between 1989 and 1990 and scraped the plan the second the Nikkei dropped. Of course, Janet Yellen could pull a mini-Volcker and simply hike rates overnight by, say, 350bps. But that would bring about what all central banks have been desperately trying to avoid for six years now: liquidation. Very much like a solution to the Greek fiasco has been delayed until far too late, interest rate hikes have been delayed for far too long to be useful, unless somebody is ready and willing to expend political capital to push through a massive hike followed by a very sharp but brief recession to purge malinvestment from the system. Neither Janet Yellen nor her fellow Fed officials strike me as having the will to do so. 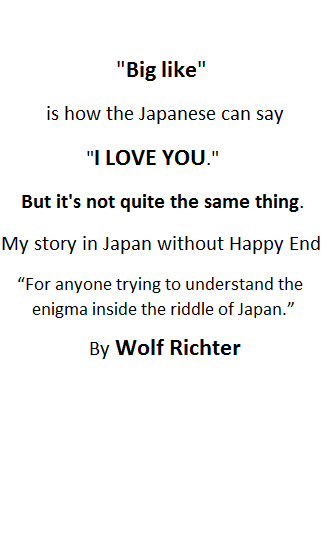 As for Japan and Europe… don’t cry for us. We are already dead. The fed can’t raise the interest rate, the price of money, because there is no demand. People are not borrowing because they cannot carry the debt. I lost my home a few years ago, have terrible credit because of it, and I get bank credit card offers often. I throw them away because I cannot afford to have another bill coming every month. Savers want higher interest but that income comes from borrowers and the working class has no discretionary income. Sometimes things are really simple. Nonsense. Is the FED going to raise interest rates ? Yes & No. No. When I look at one chart then I know the FED won’t raise rates anytime soon. In spite of the chatter and yapping of Mrs. Yellen. Yes, because the US is running a Current Account Deficit and that could be the reason why the FED is forced to raise rates by 500, 600, 700 or 800 basispoints, to defend the currency. In ’29 the market started to crash in the summer as well. The movers and shakers pumped in money and stabilized it to the fall. If China is rhyming with that crash their stock market could roll over this fall. One of you suggested that the Chicoms are simply being more straightforward in their brazen use of force, but this may boomerang on them as they can no longer pretend to be innocent. I never understood why people believed in them in the first place (foreign investors) given the nature of their ideology. I guess time and history revisionism have fogged the memory of the atrocities all statists commit. The laws of physics cannot be broken, only bent a little on the quantum level. Once all is exposed on the macro level the will slam down, HARD. I am not a seer so I don’t know what form it will take, but it will be, to use a euphemism from the Civil War, the coming unpleasantness. or and Yes because the FED knows the excesses are destroying the real economy and they are almost beyond the point of no return. At some point there will be not enough “seasonal adjustments’ to paper over the truth. The captains do not desire to go down with the ship.